I’m leaving Tracy in January and will be moving to Berkeley, but I’m still a Notary – now I’ll just be a Berkeley Notary. I like the sound of that…..Berkeley Notary. I’ll be serving the Greater Bay Area but my business cards will most certainly say Berkeley Notary. I’m really looking forward to it, actually. So here’s the deal, it’ll cost you $10 per signature, and $40 for my travel fee. “Per signature” means every time you sign your name on the document(s) it’ll cost you $10. If you sign your name two different places, its $20, three times is $30, and so on (plus $40 if I travel). 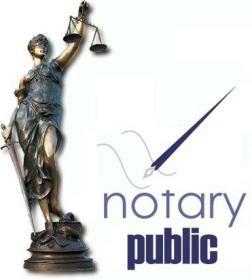 If you’re in need of a Berkeley Notary some time after January 15, 2010 be sure to hit me up. Be prepared to give a right thumb print as well as affirm to the accuracy of the information contained within the document you will be signing. All documents must be completely filled out prior to meeting with me. I am not a lawyer and cannot advise you on how to fill out any paperwork. See you down the Berkeley Notary road! 50 queries in 1.322 seconds.